Going directly to Bohinj and Savica waterfall. We will visit some of the most preserved glacial lakes in Europe – Bled and Bohinj. Our first stop will be the Bled castle. Next we will visit Bohinj, where we’ll have a boat ride on the biggest Slovenian glacial lake. We’ll continue by bus to Savica Waterfall. Before lunch we’ll see the waterfall on foot (there and back about 40 min. walk). Return to Ljubljana approximately in the midst of the afternoon. 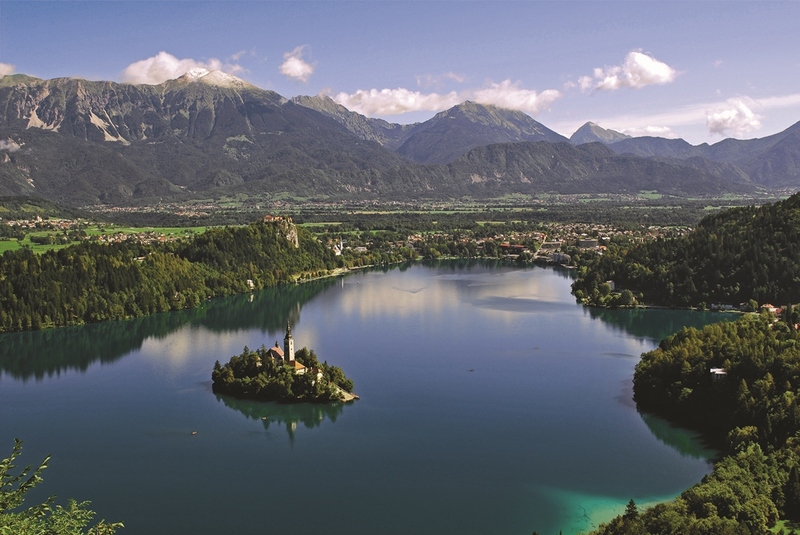 The Bled lakeside is surrounded by pine forests and the Julian Alps. The lake features tiny wooded island ‘Maria of the Lake’, which is crowned by an idyllic baroque church and perched high on a cliff above the lake is the Bled castle. Lake Bohinj is one of the most picturesque and unspoiled natural lakes. It is surrounded by Alpine peaks, villages and the dense forests. It is our starting point to Savica Waterfall. The Savica is accompanied by another smaller waterfall and together they form the two-part waterfall, shaped as the letter A. The pool is artificially supported in a vicinity of a small dam.